Case is a collection of coffee tables in aluminum and oak that interprets the classic nesting tables. The Case tables have a youthful and functional form, which represents the refined industrial design approach that is designer Hans Hornemann’s signature. Case is available in two complimentary sizes, where the smaller table can be put under the larger one and pulled out as needed. Hans Hornemann got the idea for the design from the simple flight cases that are used to transport sound equipment for concerts and have very strong aluminum frames. Designed in 2016. 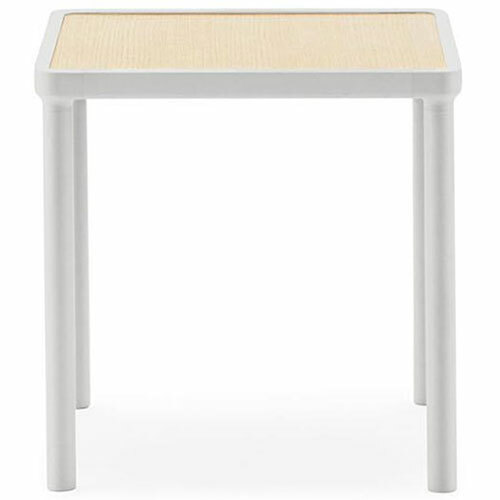 Side Table- Aluminum & Steel Structure: Light Blue, Rose or Light Grey. Coffee Table- Aluminum & Steel Structure: Dark Blue, Dark Red or Black.